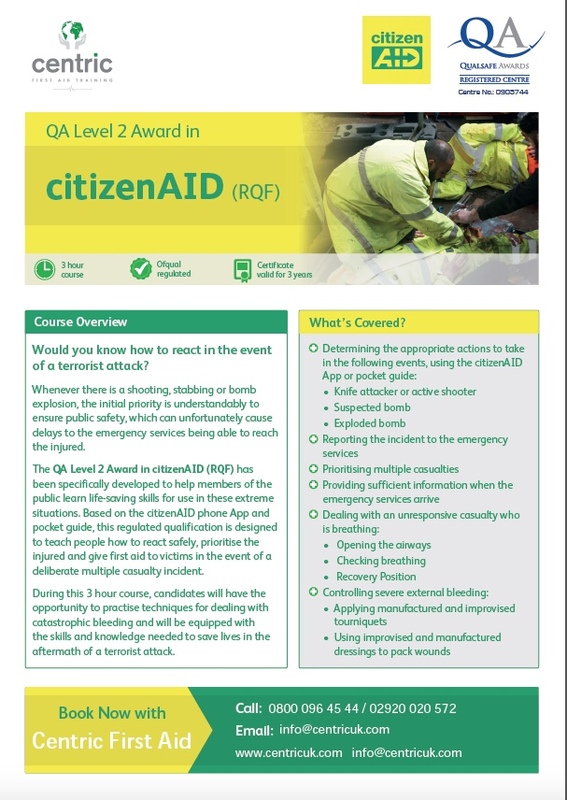 The course covers a variety of topics, including: prioritising multiple casualties, dealing with an unresponsive casualty who is breathing, and controlling severe external bleeding. 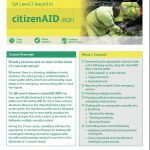 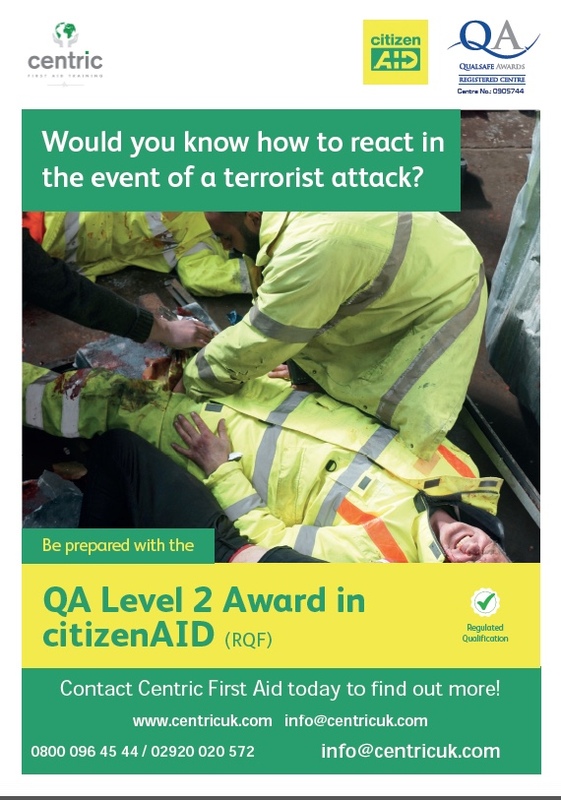 Learners who undertake the QA Level 2 Award in citizenAID (RQF) must have access to either the citizenAID Phone App or Pocket Guide. 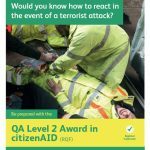 The citizenAID Phone App can be downloaded here.